Welcome back to school! We have been very busy already this year–hence the reason why I haven’t updated in a while–and are getting into a groove. Forgive me if the next few posts are out of order (at least the order in which they happened); I still need pictures of certain things before I post about them. And so today was that day. We planned and prepared before we went to lunch, knowing that when we returned we’d get down to business. It was so great to watch the tribes busy, talking together about what to do this time around. Many had plans drawn on paper, and most mentioned specific things they wanted to do differently. 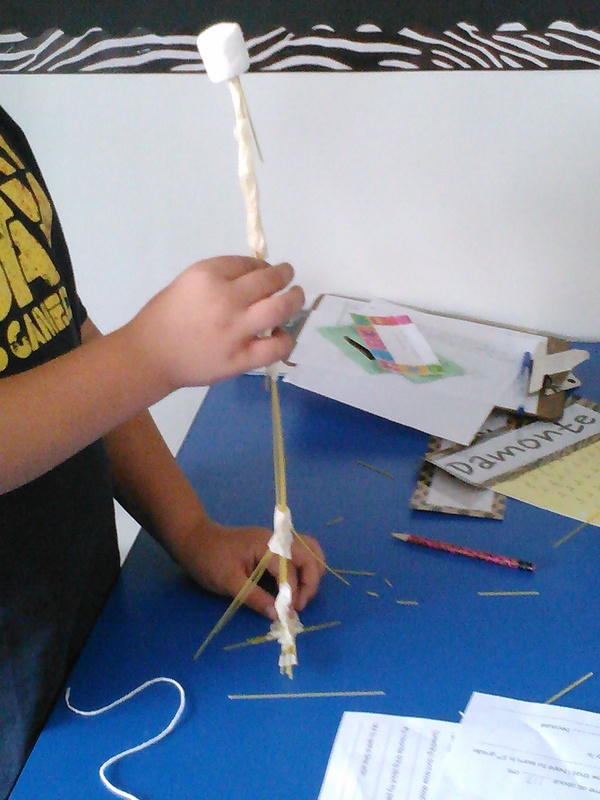 Many groups decided that instead of trying to make their tower really TALL, really FAST, they’d focus instead on making it STRONG. WAY BETTER, RIGHT?! I was so proud of them! And yes, granted, two of them still fell over, but sadly it was right at the last minute! Those last two were upright and fine until the timer buzzed. Bummer! Like I said, we focused on what we can learn from this situation. 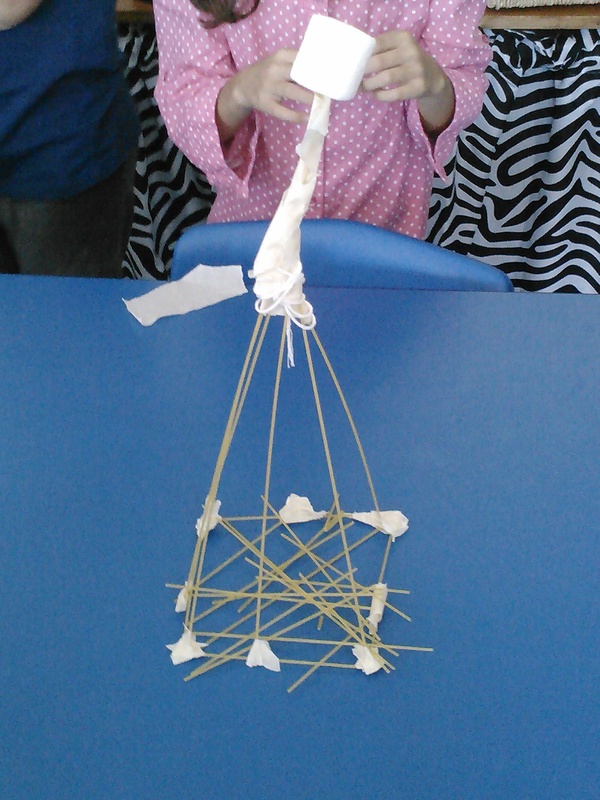 It wasn’t about the tallest tower, or whether or not it fell over. It was about the team, the working together, the learning about our strengths and building on them. And they totally rocked all of those things! I can’t wait to see the other amazing things they are going to accomplish together this year! 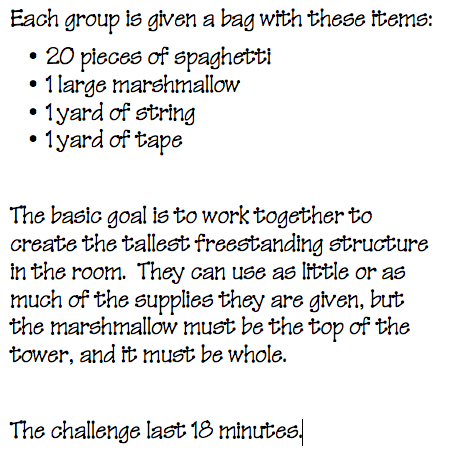 Posted on August 28, 2012 by Jen Bearden	• This entry was posted in Classroom, Uncategorized and tagged back to school, community, fun, groups, learning, lessons, possibilities, tribes. Bookmark the permalink. A difficult concept to learn, that there is success in failure. 5th grade is so great! 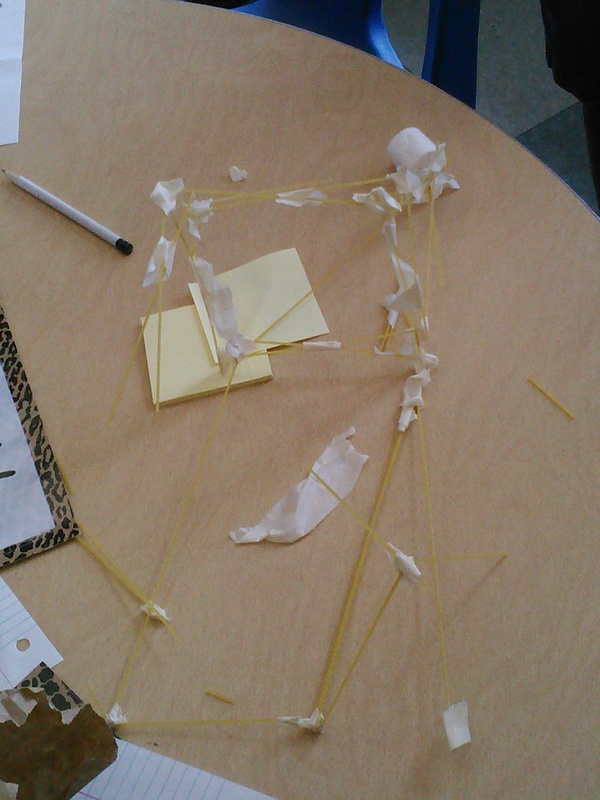 Love the focus on what went right vs. “a failure.” Hmmm….regrouping and trying again….how very resilient! 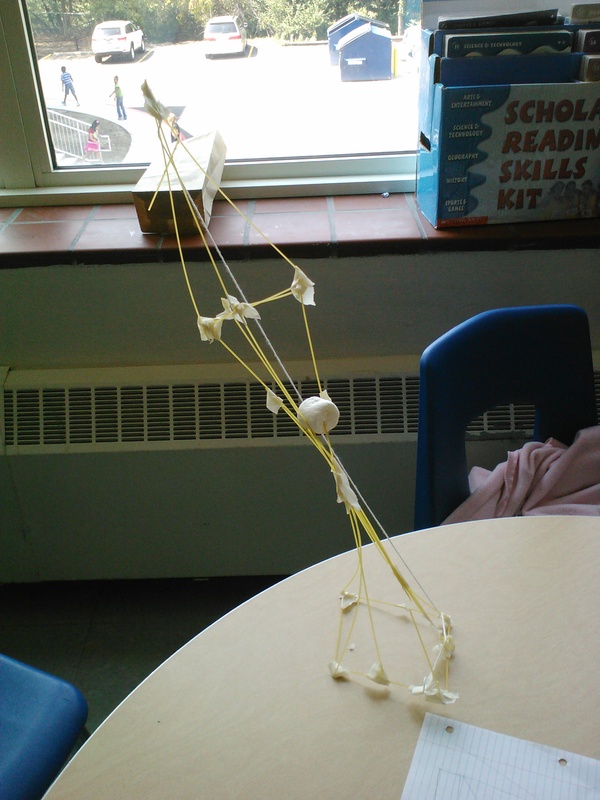 I’ve done the Marshmallow Challenge with my class this year and last year. 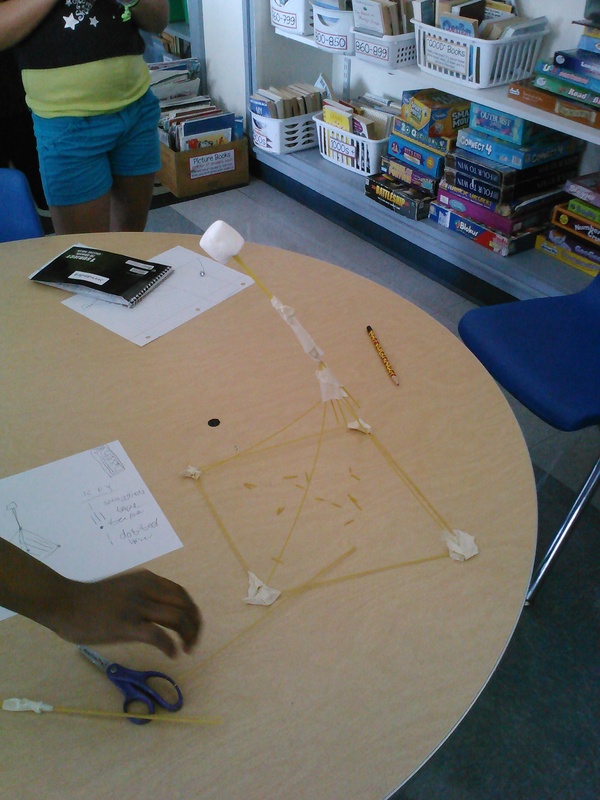 The kids love it and I like how it encourages “design thinking”. hey it is rosalee!!!!!!!!! !that was sssssoooo much fun!!! I’m glad you liked it! Your group did a great job together!